Bejewel your 'do with this beautiful flower hair clip which takes inspiration from the 1940s. 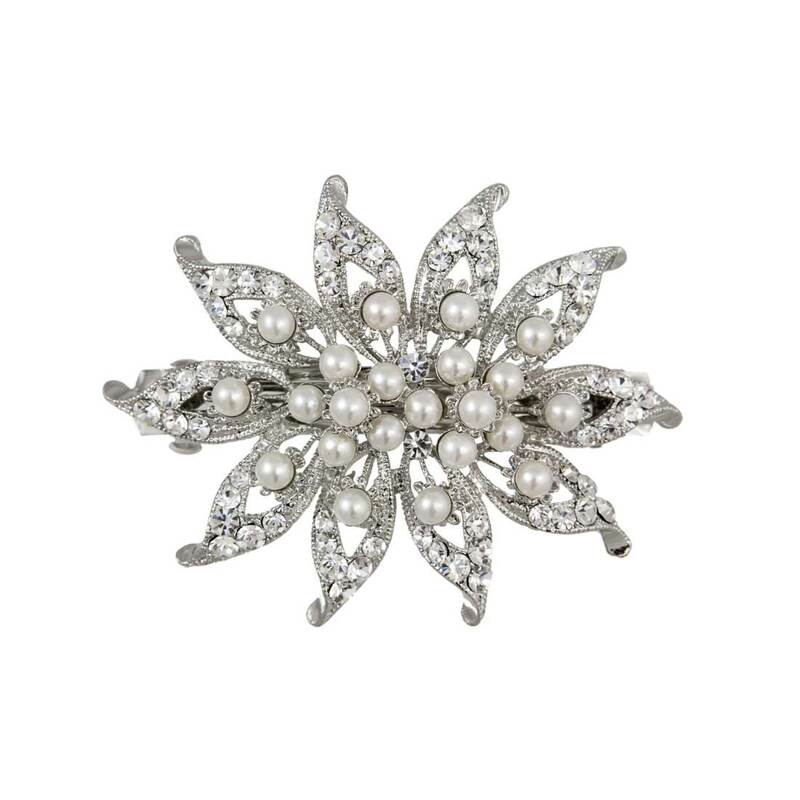 Simply exquisite, this silver tone crystal and pearl flower hair clip is just beautiful. Featuring ten crystal encrusted petals with a double floral centre adorned with a cluster of pale ivory faux pearls, the 'piece' looks just like a vintage heirloom which has been passed down through each generation. Wear pinned to the side of the head in loose curls, randomly placed in a romantic tousled chignon or to dress a French pleat or up-do with sheer elegance. Perfect for brides and bridesmaids who adore the classic beauty of pearl hair accessories, this looks just exquisite teamed with coordinating faux pearl and crystals earrings for chic timeless style.